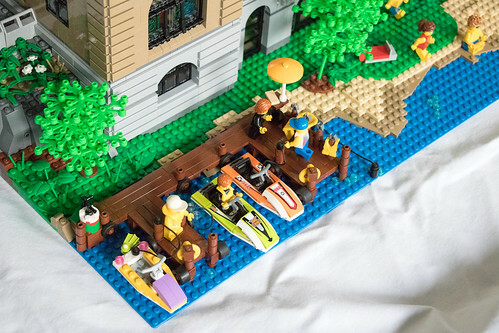 Covering 5x2½ baseplates (including pavement and lake), featuring a total of 80 beds in 12 suites, 24 rooms and a group section, plus dining hall (presented earlier here), bar, two conference rooms, sun terrace, pool, gym, sauna, massage, lake access with a small beach and jet skis. General architecture: Montreux Palace, Suisse Majestic, Eden Palace Au Lac. Main colors: Montreux Palace, Suisse Majestic. Level of decoration: Montreux Palace. Main entrance: The Langham (London). Dining hall: Salle Empire (Hôtel de Paris, Monaco). Future changes will include a complete interior, a detachable side wall (on the left, opposite the dining hall) so visitors can look inside, and probably some lights. This is amazing. Love the grey archs section on the side of the building. Hats off, mister. Excellent build! 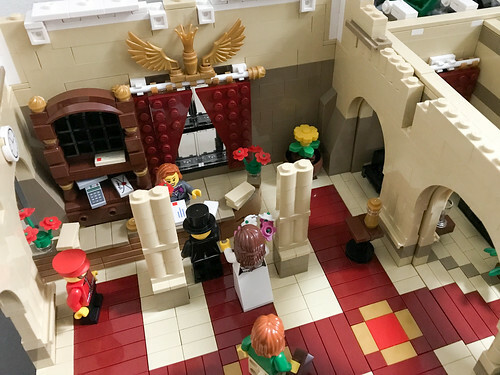 Your photo of just the entrance way look like an actual building rather than one made out of Lego. 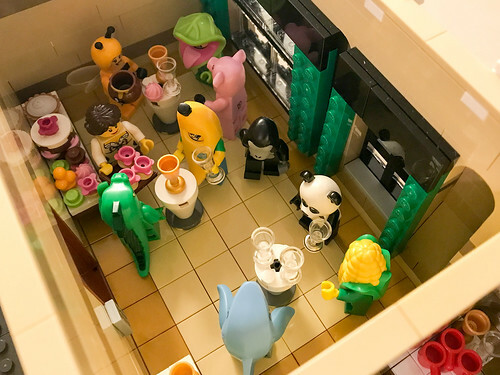 Love the humorous gatherings of minifigs. So many bathing suits required :). Exquisite build! Inside and out, it's a marvel of elegance. Wow. This is simply incredible. I remember your Dining hall from last year, and I had no idea it will be a part of this large building. It's hard to point out just a few of the outstanding details, but here I go. The colors scheme is lovely, going from dark shades to very light ones. 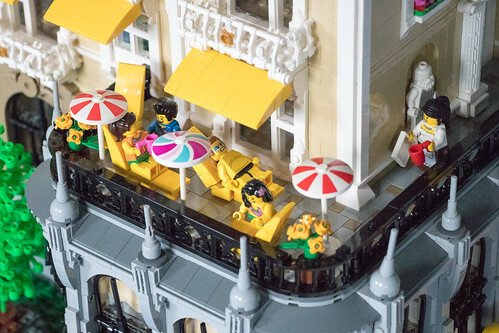 The yellow awnings are actually outstanding, I'd never go for a color combo like this, but it looks very good (need to remember it). The architecture is amazing, the walls have enough detail to make it interesting. My favourite part is definitely the top floors and roof. Will have to look into more details, I'm sure I'll find some interesting connections. On the side note, seeing interior details, although not completely furnished, is just icing on the cake. It seems the hotel has everything you need. 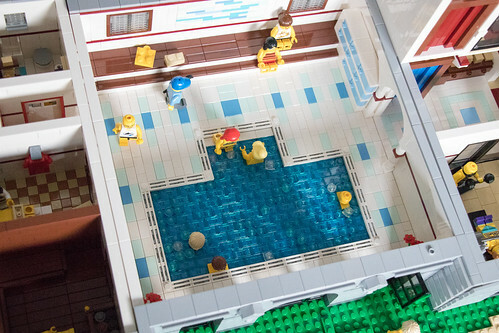 My favourite is definitely the pool area with the calming white and aqua tiles. 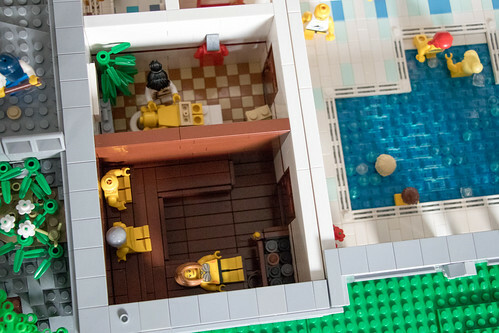 Also, ''step'' to the pool are a nice hidden detail. Is there any view from the pool to the outside? I can't exactly place it. I wish I had a chance to see it in person (perhaps next BB2019? 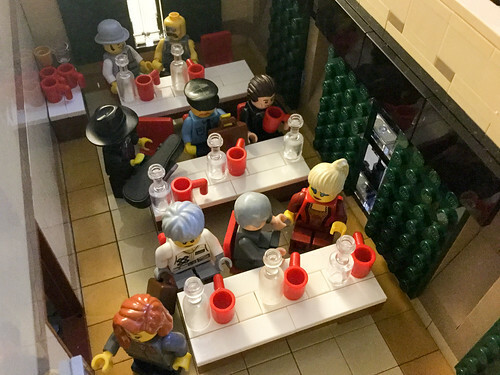 ), there's a reason you're one of my favourite modular builders. Congratulations on this excellent building! Stunning! 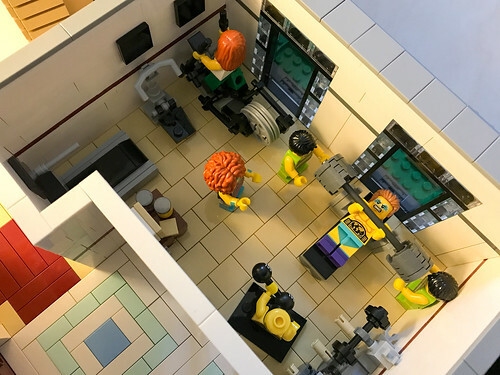 Clearly a labour of love.You know your MOC is huge when it has an INDOOR pool. The yellow+tan+white color combo looks also great in real life in Montreux. 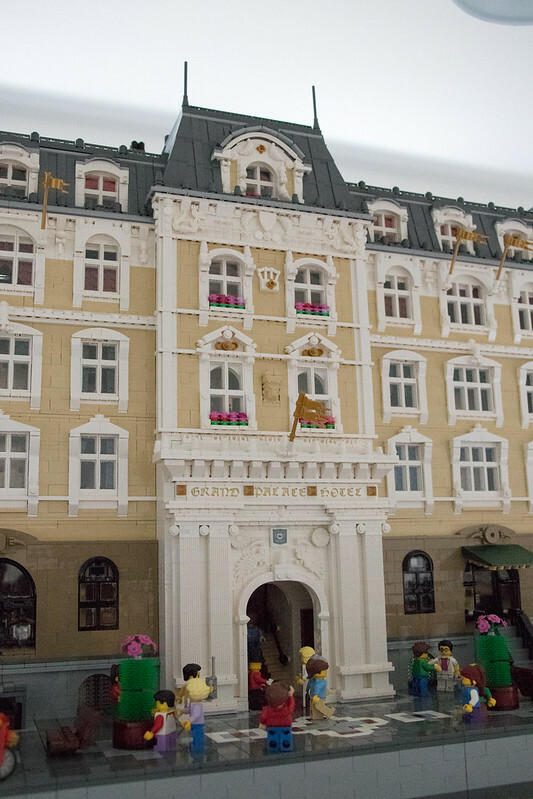 :) And by the way, when I was there and took a photo of the Montreux Palace some years ago, there was one awning stuck on one side like in my MOC. No-one repairing it at that moment, though. Regarding BB2019: It's likely (though not certain yet) that we'll move to the even years, so that would be BB2018 already. Brilliant, as is to be expected coming from you. It captures the look and feel of that kind of architecture exactly. I would like to see more shots of your city! All kidding aside, this is quite exceptional! 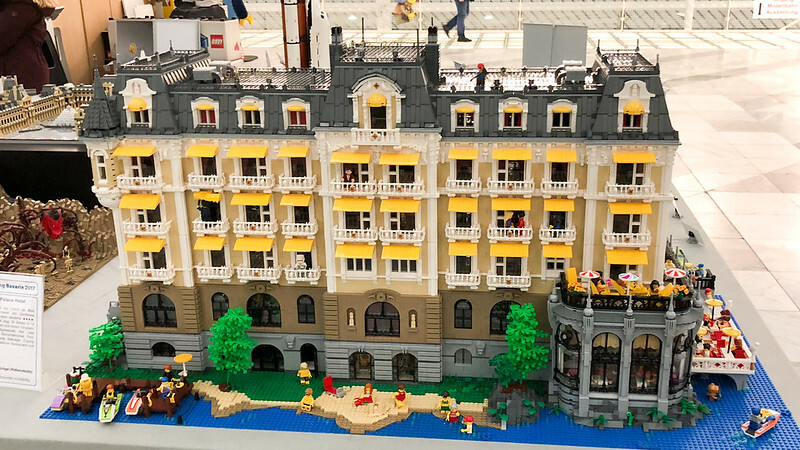 Astoundingly gorgeous MOC! The level of detail throughout every inch of such a massive build is staggering. 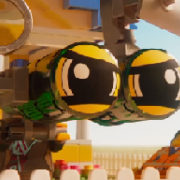 Beautiful, amazing, master builder work. 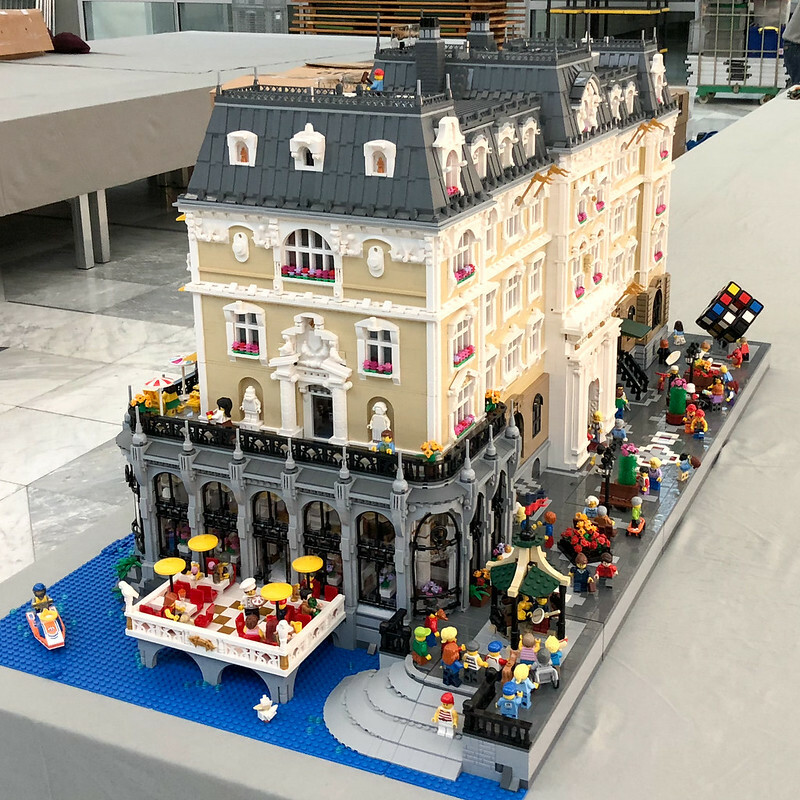 Saw it on Flickr last week....all of my own Town Layout pride has vanished instantly....TOP build! I love this build. You did a very good job, i could never build that, even if it was my dream wish. Really great and fun looking build. 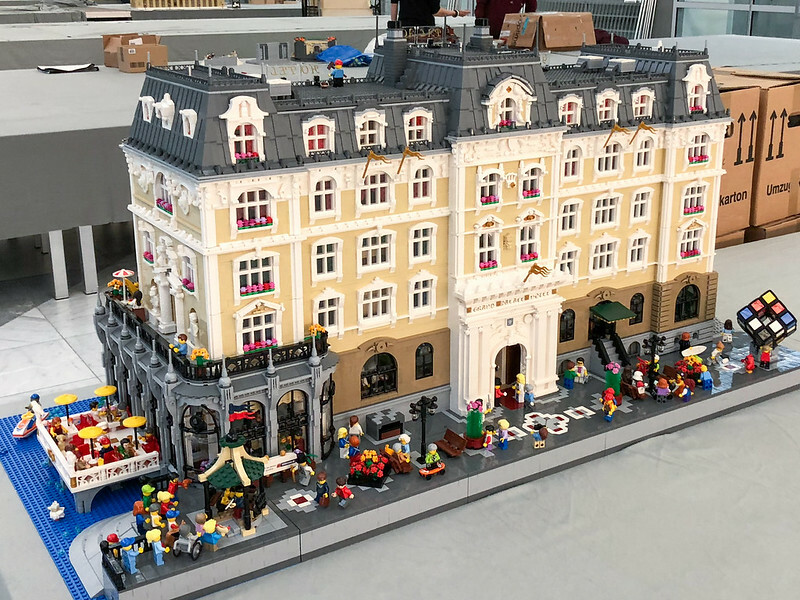 I would like to have such a modular building in my collection! The sauna and interior decorations are exceptional ... luxury drain off from every brick of this imposing building! The part I like most is the sea with water games! Living just a couple of dozen km from montreux, I see the building that inspired this almost weekly. I have to say you’ve captured the look and feel of the palace hotel, brilliantly. Outstanding work, the fact that it actually has an interior makes it even more gorgeous! 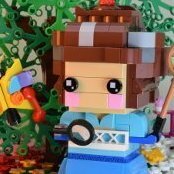 You can post this on Lego ideas! Yes,they don't want his set,because it's too big!